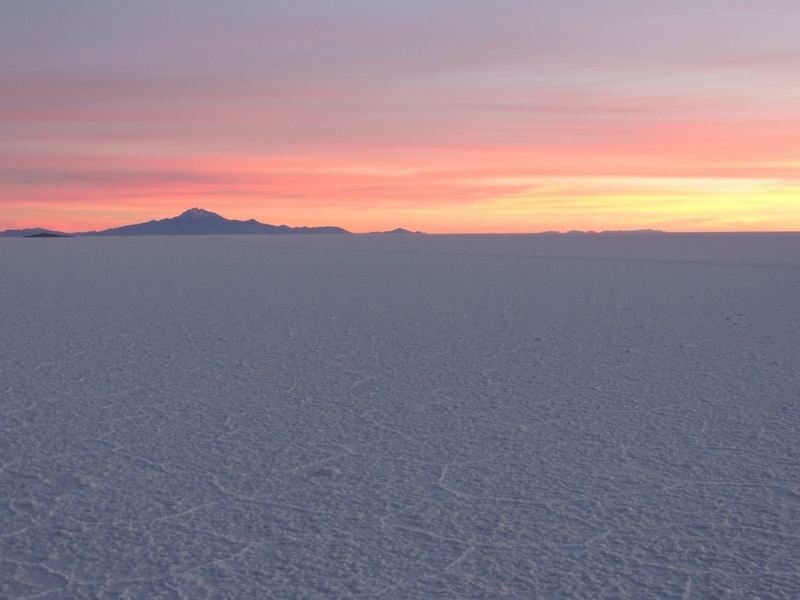 The Salar de Uyuni was just a starting point in the unimaginable plethora of diversity and experiences that Bolivia offered me. One thing that I couldn’t help noticing on our bumpy journey back to La Paz from Rurrenabaque was the astonishing, steady density of towns dotted along the Ruta 3, the Camino a Los Yungas, between of Bolivia’s jungle region of Beni and the Altiplano. Armed with a tent (or for the brave, a hammock and mosquitero) I couldn’t help but fantasize about this road as one of Bolivia’s hitchhike-able routes. As the title suggests, I am comparing it to Chile’s 1240km Carretera Austral stretching south of Puerto Varas in the Patagonian reaches of this gigantic continent, another favourite via point on the gringo trail. The appeal for hitching this road comes in many forms. Firstly, it’s off the gringo trail. So much so that even buses along this treacherous road, often passing sheer mountainsides victim to regular post-tropical rain landslides, aren’t frequented by the thousands of travellers descending upon Rurrenabaque each month. Instead of, literally, risking their lives on a bus journey that can take anything between eighteen hours and three days, the majority opt for the quicker, safer, albeit slightly more expensive thirty minute flight into the small local airport. I could be mistaken, but what this amounts to is an untouched way of life for local Bolivians living in this biodiverse gem of a region. Between the torn up stretches of dirt road lay mountain top communities settled above endless vistas of canopy and white clouds, with the occasional tree-carpeted peak soaring into view. Any tourist looking for a more intrepid foray into the Bolivian jungle, and perhaps one with a little time on their hands, would surely find making their way along this beautiful road an unforgettable experience. My only regret here is that I have no photos to share with you. On a side note, the bus ride also provided an opportunity for thought, as it marked one of my final journeys across the country after a lengthy eight week stay. To my dismay, but not surprise, abject poverty and unsanitary, inadequate living conditions were also plain to see as our bus gruelled its way through these towns. Small, innocent faces with wide eyes looked up from the dust in the streets to regard us with mild interest as we passed through, looking down from behind our wide glass windows. Time and time again, Bolivia has left me questioning how the fabric of its society could, at times, be so unfeasibly wrapped up in days of national ‘fiesta‘, while at others, project such an image of distant, unattainable hope. I’ve searched and searched, but the issues seem so confounded that my answers get lost in the seemingly endless pool of problems in which the Bolivia’s vast lower class poulation are drowning. For such a beautiful country, with such amazing people, food, places and countless other things to offer, Bolivia is a country that screams for a fairer future. It is one stop on your South American journey that shouldn’t be missed. wow can’t believe you did that bus journey! how long did it take you? another one you’d love is the milk truck in el cocuy, colombia. not many people make it out there, let alone take the milk truck. A long time, but not too bad, around 22 hours from memory. I’ll check out the milk truck idea, cheers!